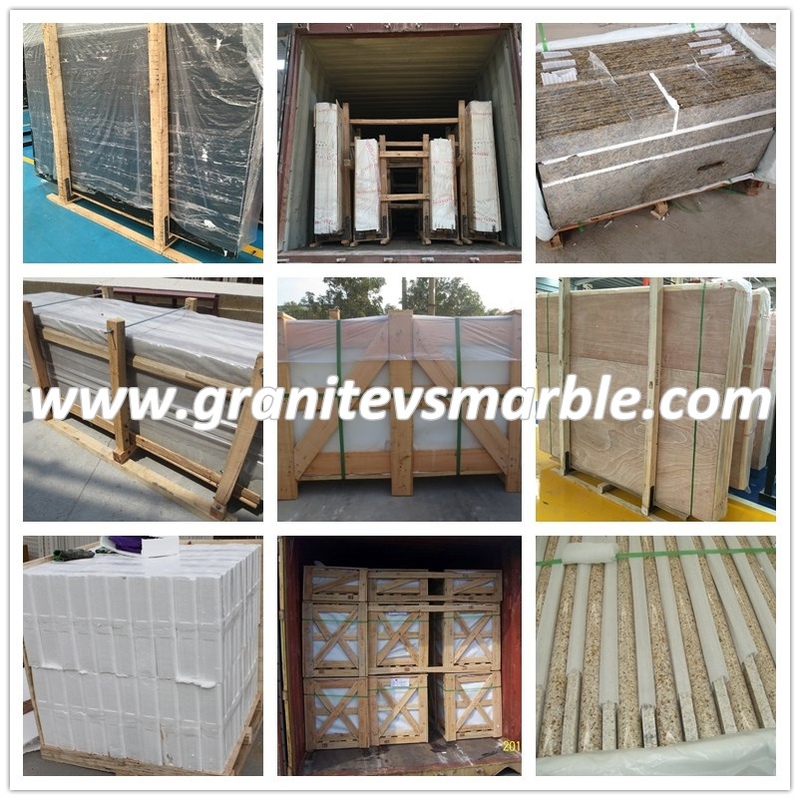 If you're interested in White Wood Grain Marble Flooring Wall Tiles and Slabs, just feel free to contact us, we will keep providing quality products and excellent service for you. 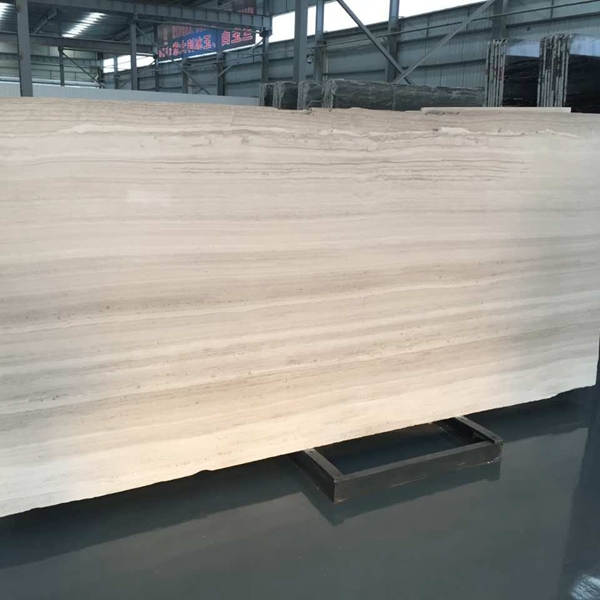 The natural stone "seashell flower" originated from Guizhou is black and white, with white fossils engraved like a blossoming white flower. It was finally laid in the public lobby of the National Grand Theater. However, it was a stunning debut, but also brought to Guizhou stone merchants are not a small stimulus. 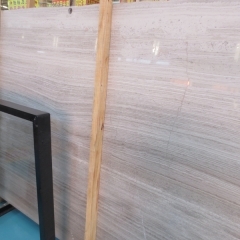 “Before this, the outside world did not know that this kind of stone was produced in Guizhou.” Liu Youkang, general manager of Guizhou Jinshi Lianchuang Industrial Real Estate Investment Development Co., Ltd., said that in 2007, they first got involved in the stone industry and got the National Grand Theater. Order. When they completed the quarrying as they wished, it was difficult to face such a large-scale processing. 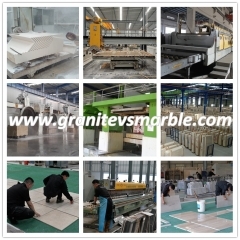 Visited all the stone deep-processing enterprises in Guizhou, and found that no one has the ability to do it. Finally, this batch of stone can only be shipped to other provinces for assistance. Excluding the extra shipping costs earned by the processing companies in other provinces, the profits of this order have been very low. 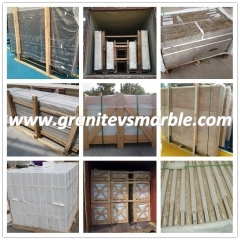 Soon after, Liu Youkang discovered that many stone material merchants in Guangdong and Fujian, where stone processing is very active, will receive stone materials from Guizhou, be purchased and transported at a low price, and even be sold at high prices in Guangdong, Fujian, and even European stone. The backwardness of the processing industry in our province is still not in the brand, relying on the passive situation of betraying the most primitive stone blocks. Stone merchants in Guizhou decided to launch a counterattack. 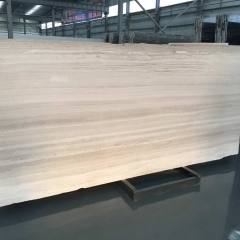 In November 2008, at the Asian Stone Fair held in Yunfu, Guangdong, Liu Youkang took Guizhou's various types of stone and placed it in the prominent position of the international trade fair with the words and prices of the Guizhou Province of origin. We will say no to the phenomenon of outflow of stone blocks in Guizhou. This move soon caught the interest of domestic and foreign merchants. The local stone merchants were greatly shocked. They privately told Liu Youkang to express their suspicion and gave them a bowl of rice to eat. Walking in the Jinshi Park in Guiyang, although it is also in freezing weather, it is an icy fire, and 120,000 square meters of processing plants are under construction. The first phase of the park, which is based on Guizhou Jinshi Lianchuang Industrial Real Estate Investment Co., Ltd., has already begun production at full capacity to meet a steady stream of sellers. 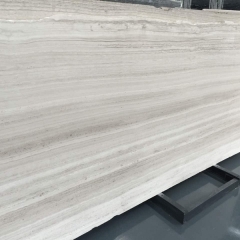 According to the park's planning and conception, the first goal of the commencement of construction is to complete a modern stone processing plant of 300,000 square meters within one year and design a scale of annual production capacity of 15 million square meters. 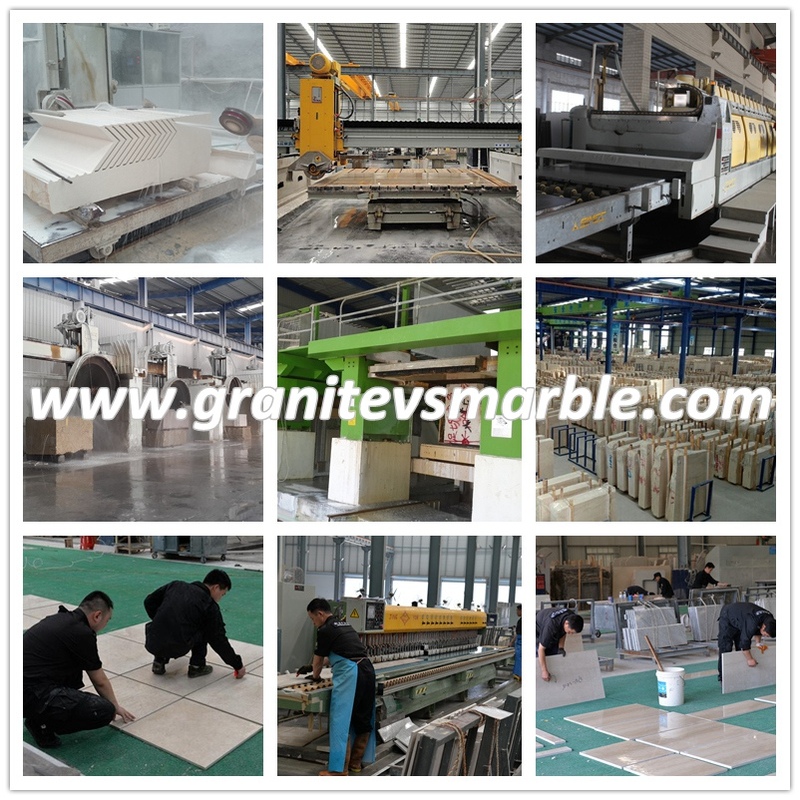 At the same time, with the park's settled companies, they signed a 120,000-square-square processing workshop before June 30, 2011, and designed an annual output of 6.5 million square-square-slab products. As a billion-dollar park built by Guiyang City, the Jinshi Stone Industrial Park is planned to have an annual output value of 15 billion yuan at the end of the 12th Five-Year Plan period. With the recent construction of the second phase of the park, this goal is being achieved at an alarming rate. However, in Wu Tongheng’s view, it is worth being excited that for Shiban Town, a relatively underdeveloped suburban town, the development of a 10-billion-yuan park in the jurisdiction area will be an important opportunity for the development of the park, and it is bound to be strongly stretched. The relevant industrial chain will drive the urbanization of Jinshi District and accelerate the integration of urban and rural areas. This will be driven by the development of tourism along the surrounding areas, forming a distinctive ethnic, natural, and stone cultural tourism circle; stimulating local people to find jobs, starting businesses, and legally enriching, and attracting more private capital and non-public economy people to invest here. Entrepreneurship, build new investment development platform.